My mother had a collection of her own beautiful handwork, embroidery and crochet in particular. 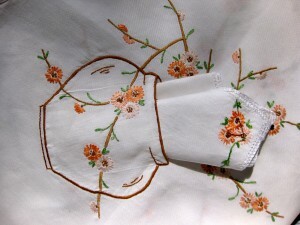 Her embroidered table linen was always brought out for ‘supper’ or other special occasions with guests. 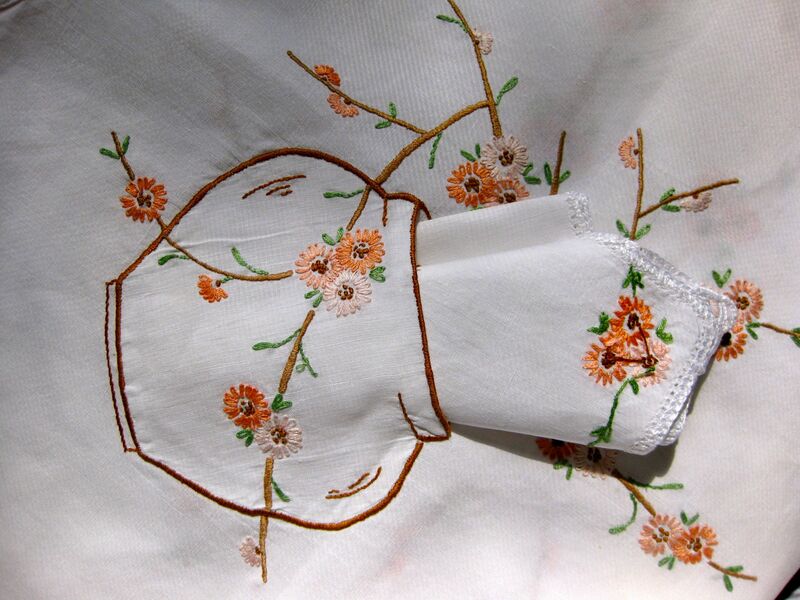 This supper cloth has an applique Japanese vase design, the opening allowing the napkins to be jauntily inserted. Note the edges of the napkins also have a crochet finish and this is also used around the entire cloth.